Disney is world of wonders and life. Everyone from all ages are always excited and to watch what is going on. 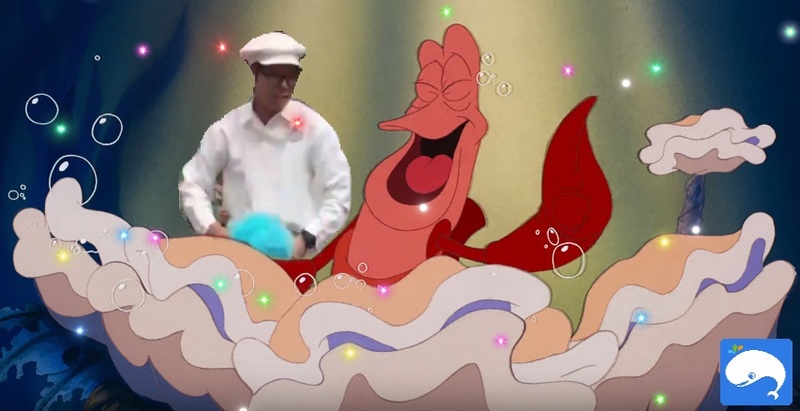 Disney girls on Facebook managed to capture the moment when one of their staff simply just picked up 2 duster that looks like absolutely delicious fluffy cotton candy and starts playing Under the Sea on the theme park's railing as if he is part of Ariel's world. You have got to hear it, watch it in the video below. What to do to Disneyland right this instant? Get your Hong Kong Disneyland tickets right here!